Most skulls get cracked getting whacked from the OUTSIDE with immense force. Skullkracker is so visually stunning that it causes the spectator's brain to explode thus causing the skull to crack from the INSIDE! For decades Mike Koslowski's "One Hundred Dollar Bill Switch" was the standard way magicians changed a one dollar bill into a one hundred dollar bill. 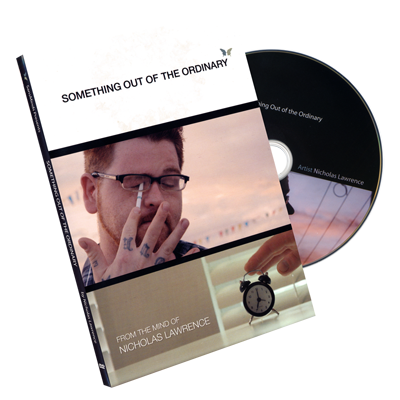 Those days are gone forever�no more thumbtips! Skullkracker is so revolutionary it will cause a paradigm shift in the way magicians view "the bill switch." 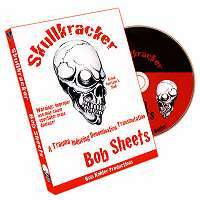 Bob Sheets has perfected Skullkracker through thousands of performances. He has eliminated ALL of the issues normally associated with money tricks. Skullkracker is totally visual. The bill changes visibly WHILE the spectator's stare at it! Learning Skullkracker is dead easy. In fact, there are three handlings, one for every skill level. It doesn't matter if you're a beginner or a seasoned pro, Bob will guide you through the learning process step by step with crystal clear instructions. As usual, the detail is staggering, but you'll learn much more than the method. Bob has included six different presentations for all types of situations. Bob has also included additional displays, and all of the hot tips that make Skullkracker practical.